Please Click the link below for Respironics' Newest BiPAP Machine. The Philips-Respironics "System One" BiPAP Pro with Bi-Flex takes a smarter approach to the entire sleep management process. 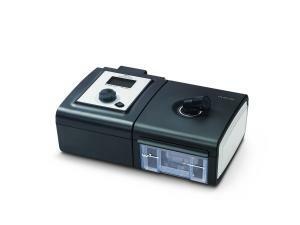 New features such as resistance control, advanced event detection, upgraded data management and reporting, Bi-Flex, Dry Box technology, and System One humidity control put this CPAP machine on the cutting edge. Bi-Flex pressure relief technology offers pressure relief at inhalation and exhalation to make BiPAP therapy more like natural breathing. By tracking each breath, Bi-Flex pressure relief technology delivers pressure relief at three critical points in the breathing cycle: 1.the transition from exhalation to inhalation 2.the transition from inhalation to exhalation 3.during exhalation The System One resistance control allows the patient to tell the machine what type of mask you are using such as a nasal, full face, or nasal pillow. The machine then makes adjustments for optimal flow depending on your mask. Each Respironics mask will now come with a resistance control setting letting you know how to set your machine to match your mask. Philips-Respironics has upgraded their event detection algorithm to include data on Snoring, Periodic Breathing (PB), Respiratory Effort-Related Arousals (RERAs), Apnea Hypopnea Index (AHI), leak, Clear Airway Apnea (CA), Obstructed Airway Apnea (OA), and Hypopnea (HY). The BiPAP Pro will also record Patterns of use and Flow waveform data. With this information, your physician will be able to better determine the best possible solutions for your sleep therapy. The PR System One uses a SD card for data collection. Prior to the System One, patients were required to use a specialized card reader when uploading sleep data to a computer. Philips-Respironics has made this process easier by using the standard SD card, giving the patient the ability to use any SD reader to upload sleep data. Philips-Respironics also listened to user feedback when designing the System One Heated Humidifier. A cleverly designed water chamber works with a built in Dry Box to virtually eliminate water getting into the machine during normal use. Even with a water chamber filled to the FULL line, the machine can be tilted and even turned upside down without leaking water back into the unit*. Furthermore, System One Humidity Control monitors room temperature, room humidity, and flow to determine what is required to maintain your selected humidity setting, even when environmental conditions change. Because of this, you can be assured that your therapy comfort will be maximized by virtually eliminating rain-out and condensation buildup in the tubing. * PLEASE NOTE: ALWAYS drain your water chamber completely when transporting or moving your machine.